Banana Berry Frozen Yogurt – and Ice Cream so healthy it can be called a nutritious (and so delicious) breakfast! Yes indeed. Officially this is Frozen Yogurt but I’d say it’s good enough to be called and compared to Ice Cream. 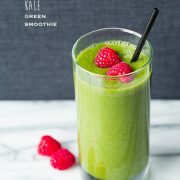 I was amazed with how well this turned out considering I didn’t add any cane sugar (other than that of the sugars in the Greek yogurt) and also considering how incredibly simple it was to make. I’ve mentioned before I like to have dessert every day, so I’ve decided maybe I should start making some of them a bit healthier (just once in a while =) and more figure friendly. 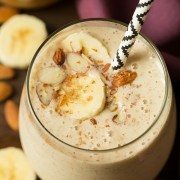 In my opinion this does make an amazing breakfast, I honestly felt great about serving it to my kids for breakfast. After one bite my three year old said “Mom, I need two Ice Creams.” One just wasn’t going to cut it. This is definitely kid approved. I wish I always had these ingredients on hand so I could have this for breakfast or dessert everyday. Enjoy! I made the swirls using a chop stick (in case you were wondering), I wanted it to be like the soft serve frozen yogurt you get at the ice cream shop but I don’t have the soft serve machine to do the swirling so I had to improvise. 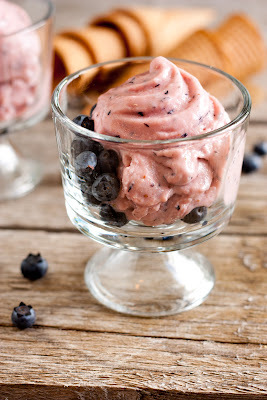 Healthy and delicious banana and berry flavored frozen yogurt! Incredibly easy to make and so satisfying. 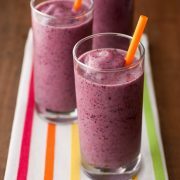 Place all ingredients in a blender and blend mixture until smooth, about 1 - 2 minutes. Pour mixture into an ice cream maker and process according to manufactures directions about 25 - 30 minutes. 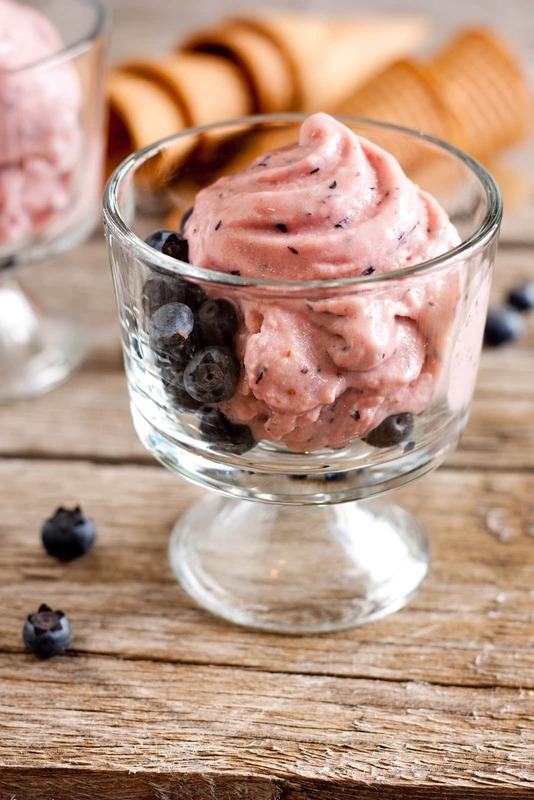 Serve immediately for soft serve frozen yogurt or freeze for about 3 hours for firm frozen yogurt (also, if you like it soft but don't want to eat it immediately you can freeze it until ready to use, then thaw for about 10 - 20 minutes on the counter top and stir). 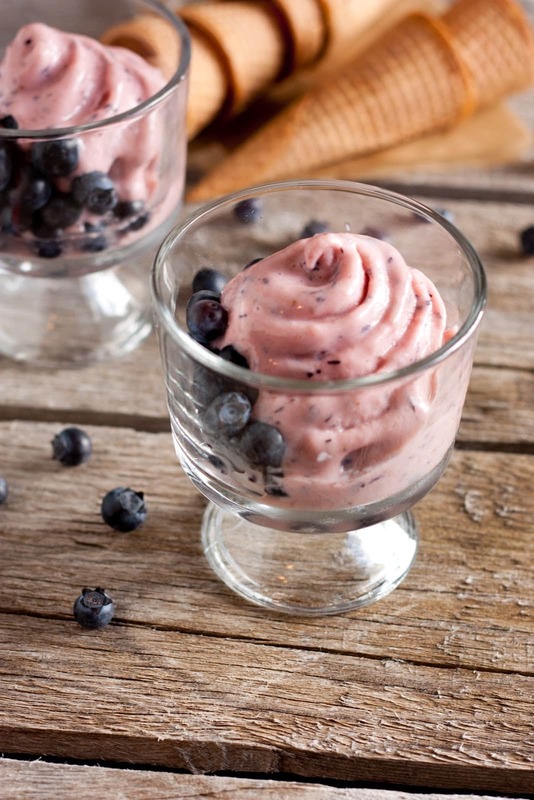 Serve immediately for soft serve frozen yogurt or freeze for about 3 hours for firm frozen yogurt (also, if you like it soft but don't want to eat it immediately you can freeze it until ready to use, then thaw for about 10 - 20 minutes on the counter top and stir). yoghurtstory: i found your blog today……and everything in this blog is awesome……..i am so inspired….